Diesel locomotive CC 72000 of the French State Railways. 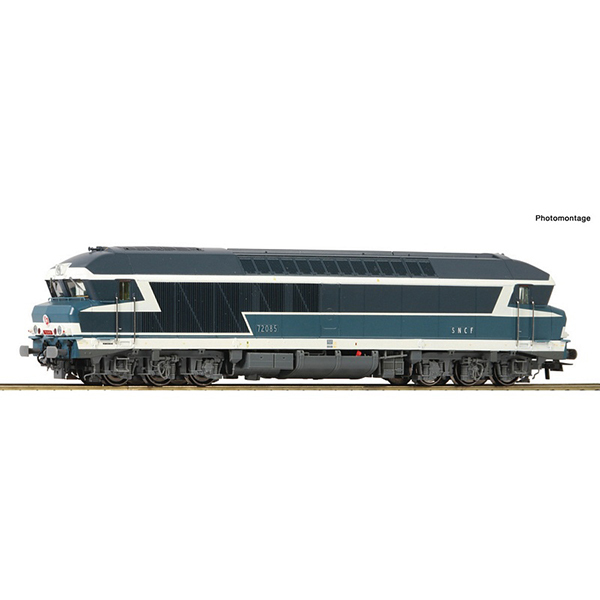 In order to have enough fast train locomotives for the use on non-electrified lines in their vehicle fleet, the French State Railways (SNCF) ordered the new diesel locomotives of the series CC 72000 in 1965. The design of the locomotives with the characteristic prominent "nez cassé" (broken nose) was created by the frenchman Paul Arzens, who at that time was also responsible for the design of several other SNCF locomotives. Due to the beginning oil crisis in 1973, the commissioning of the CC 72000 ended and operation was only carried out with the 92 already existing diesel locomotives.